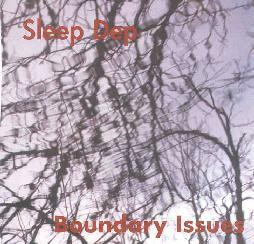 Boundary Issues - "Sleep Dep" / Guss - "As Is"
Louis Records was started in 1995 by drummer Dave Storrs and has since built up a sizable catalog, much of which features his various solo and band projects. Fueled by the likes of Hendrix, Coltrane, The Beatles, Miles Davis, Mingus, James Brown, and Sun Ra, Storrs' music is jazz based, but incorporates elements of Rock, Blues, and Free-Improvisation. Boundary Issues is the trio of Steve Willis on guitar, Page Hundemer on bass, and Dave Storrs on drums. Much of the music is based in jazz-rock fusion, some of it reminiscent of 70's fusion, and some tracks characterized by interesting blends of jazz, rock, and Blues. "Wake Up And Go To Sleep" is a standout in this regard, featuring excellent fusion that reflects all the musicians talents. Storrs and Hundemer maintain their primary position as rhythm section while subtly making their own statements alongside Willis' principle melody lines. It's got a nice groove and hints of funk. "Roll Over" is similar but the band shift into a killer high energy rockin mode. But Boundary Issues can also stray from the more standard jazz-rock paths. Willis' guitar on the title track has a hypnotic sound (guitar synth?) that sounds more like a keyboard than a guitar. Beautiful melodic leads. The CD states that all songs are spontaneously composed, which took me by surprised as this track sounds thought out and rehearsed. Impressive. "Eye Crust" sees the band taking off into ballsier and more freeform jam territory. It's only a few minutes long but the trio create a small rocking eruption that I enjoyed. This one definitely should have taken the time for further development. And Where's My Keys" is probably my favorite track, being a jazz and rock jam that explores far more interesting and somewhat off-kilter structures, not unlike a jazz version of Captain Beefheart in spots, but also features Willis letting his hair down and mangling the guitar far more than he does on the rest of the album. An enjoyable blend of standard but well played fusion and slightly more adventurous elements. 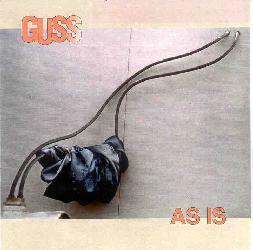 The Guss CD is an older release from 1997, and features the trio of Leroy Critcher on guitar and guitar synth, Dan Scollard on bass, and Dave Storrs on drums. "Djangled" opens the set and much of this 11 minute track is a ballsy freeform exploratory jam that draws on jazz fusion styles, but is decidedly avant-rock based. It's tough to describe but imagine a jazz version of the mid-70's King Crimson improvisations. Each musician is off in his own realm, yet operating in a wholly cooperative sphere. The trio is rocking hard. Critcher's guitar takes on numerous identities throughout the track and Scollard's bass is like thunder. "Blues For John Candy" is a slow, and highly passionate jazzy Blues tune. The longest title on the CD is actually one of the shortest tracks: "(...it's kind like driving really early in the morning after drinking a lot of bad coffee...) ... And it's raining" Phweeeew... that's what I call a song title! But it's a short spacey atmospheric piece with a nice rolling groove. "Spreckled Mass" is a highlight of the set, being a manic, intense and chaotic noise rock piece, somewhat tempered by trippy embellishments and more pleasing guitar sounds. In the latter part of the track there develops a strange but very cool duel between the aggressive and the serene. Stoner space bass vs. jazz guitar. Dig it. "Surf's Out" is a wild rocker that brings to mind Eugene Chadbourne covering the Ventures. The band go country on "Gus And Boots". And my favorite track is the 14 minutes "Kept". The music transitions through a number of themes, with Critcher milking the guitar synth for all it's worth. It's hypnotic, spacey, blazing... just gorgeous. Scollard and Storrs are a relentless piledriver of a rhythm section, forming a base upon which Critcher can explore. Space aged rockin Out-jazz for the Star Wars cantina (though it does become more standard jazz sounding at the end). In summary, both these projects do an excellent job of basing the music in recognizable jazz-rock stylings, while taking numerous adventurous twists and turns. The music is always challenging, though only borders on the avant-garde. But on both discs these guys can really rock out when they want to and the results are often explosive. For more information you can visit the Louie Records web site at: http://www.peak.org/~louierec. Contact via snail mail c/o Louie Records; 644 SW Fifth; Corvallis, OR 97333.